Christmas Day Style! As family and friends come over for the holiday it's important that you feel comfortable yet chic. 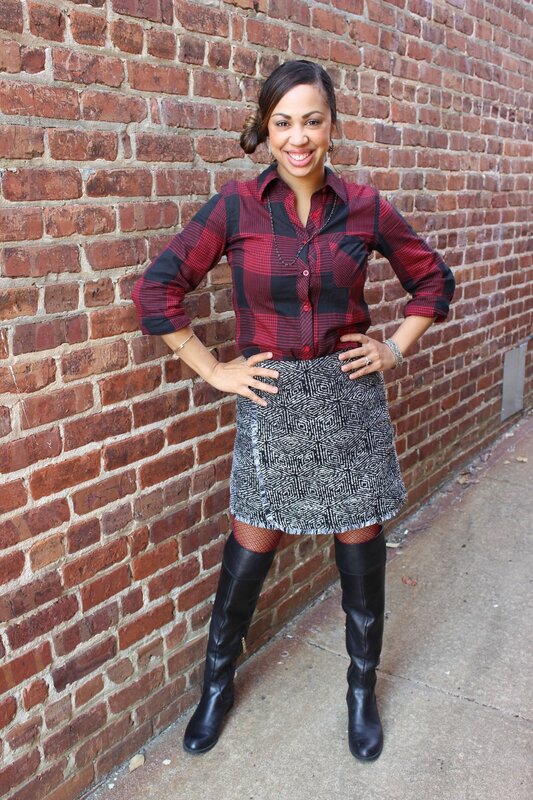 Work your plaid shirt with a patterned wrap skirt. 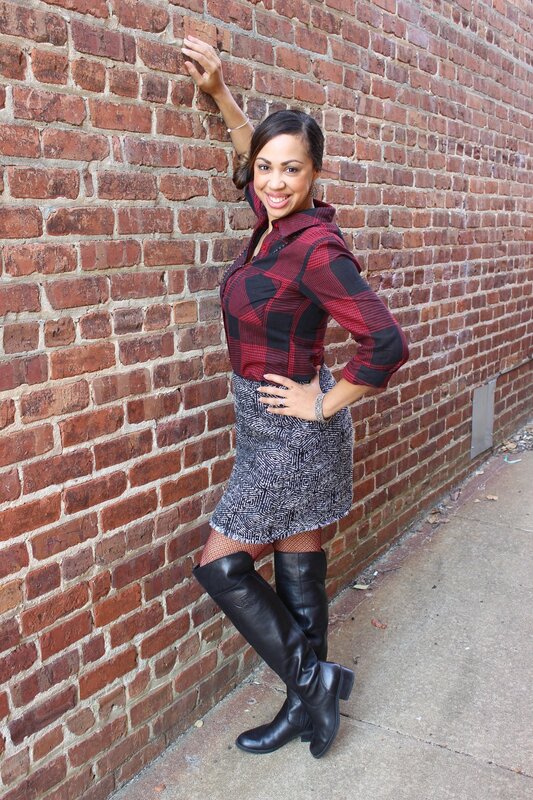 Add black knee high boots and your ready for this very festive occasion.